If you’re driving in central London, there's now another toll charge to consider. Motorists driving older vehicles will face the ULEZ or Ultra Low Emission Zone – and it's going to operate in addition to the existing London Congestion Charge. Like the Congestion Charge, the ULEZ is only enforced in central area of the capital, and only certain vehicles are going to be affected. 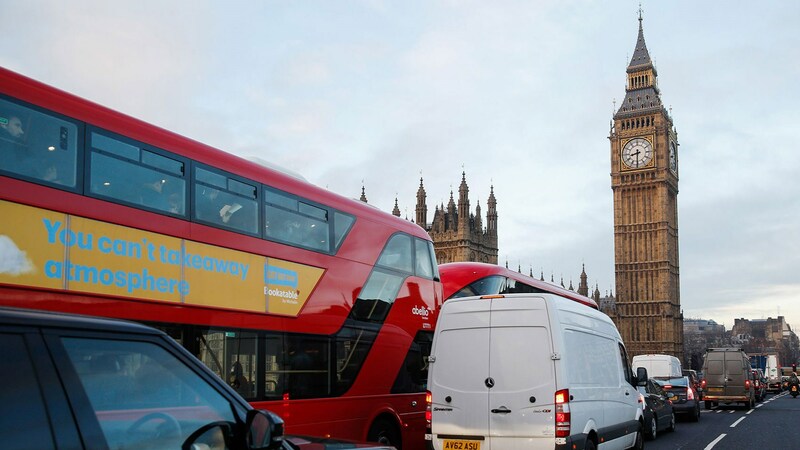 Transport for London says that 1.5 million diesel cars, 500,000 petrol cars, 55,000 HGVs and 10,000 coaches failed to meet the ULEZ standards in the Congestion Charge Zone last year – so the Ultra Low Emission Zone is will still affect many motorists. So how much does the ULEZ charge cost, what’s it for and when do you need to pay it? Keep reading for CAR magazine’s guide to London’s forthcoming Ultra Low Emission Zone. How much is the ULEZ charge, and how big is the zone? The Ultra Low Emission Zone has been pushed through to clean up the air quality of London, and initially it’ll only affect central London. It’s also going to be replacing the short-lived T-charge but will operate in addition to the Congestion Charge. It rolled out on 8 April 2019, and covers the same area as the Congestion Charge – which does simplify things somewhat. The map above shows which parts of the capital will be affected. And below is the sign you’re going to start to seeing as you drive into central London, signalling that you're approaching the ULEZ. However, you can check before you set of, using this tool which shows which postcodes are affected here. What time of day does the ULEZ operate? Unlike the Congestion Charge, there is no operating time for the ULEZ charge; if you enter at any time of the day or night, you’ll have to pay. After all, this is about stopping emissions, not traffic at peak hours. More bad news: the charge is calculated per calendar day, so if you drive in to the ULEZ area at 11pm at night and then drive out at 2.30am the following morning, you’ll have to pay the charge twice. Sour! How much will the ULEZ cost, and how do you pay it? If your vehicle is affected, you’ll have to pay an extra £12.50, and if you’re using a larger vehicle (like a lorry over 3.5 tonnes or a coach over 5 tonnes), it’ll cost an extra £100 per day. Like the congestion charge, you can pay online, and even in advance. What's the fine if you don't pay the ULEZ? Don’t pay the ULEZ charge, and you’ll be presented a £160 fine, though that halves to £80 if you pay quickly. If your car fails to meet those standards, you're going to pay the charge, so this will only affect older cars. According to the TFL's website, most petrols registered after 2005 will pass the Euro 4 protocols, although some cars from 2001 onwards may also be okay. In terms of diesels, most vehicles bought after September 2015 will generally pass the ULEZ standard. You can find out if your vehicle passes with TFL’s handy registration plate checker, here. If you’re a classic car owner there's some better news. Cars built more than 40 years ago (those exempt from VED road tax) will also be exempt from the ULEZ charge. So anything made before 1 January 1979 qualifying for historic vehicle tax will be exempt from the new ULEZ charge. Be aware, that historic vehicle tax doesn’t include commercial vehicles though.